Demand for a children's book has skyrocketed after video of a Scottish grandmother reading the book to her 4-month-old grandson went viral. Inspired by a joke, "The Wonky Donkey" is a picture book that can be read or sung. It was written by Craig Smith in late 2005 and published in 2009. About a million copies were sold, mostly in New Zealand and Australia, but the viral video has changed that — sales are up around the world, according to Smith. In the video, grandmother Janice Clark can be seen reading the story to Archer. The video, which was recorded by Archer's mom, Fiona Clark, shows Janice bursting into hysterical laughter as she reads further into the book. "We had no idea it would get this much attention — my friends love my mum, so I originally shared the video with them so they could get a laugh," Fiona told ABC News via email. Fiona, who lives with her mother in Queensland, Australia, said that she had bought the book from a recycling/tip shop for a deal — only 20 cents. The Clark's video has boosted sales for Smith, who says there have been more orders coming from the U.S. and England — whereas he might normally see a few books ordered through his website, now he's seeing a few thousand, he told ABC News. And that was only through his website. 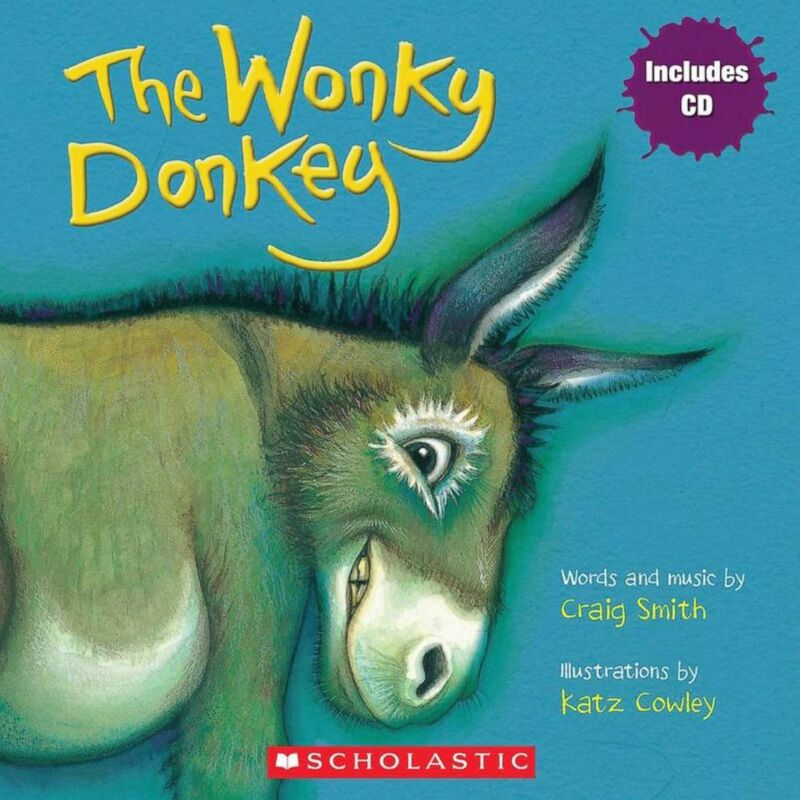 Cover of 'The Wonky Donkey' by Craig Smith. So many people have been ordering the books, in fact, that Smith said his publisher is working now to meet the demand. “All I know is that my publisher in New Zealand is reprinting 50,000," he said. Smith wrote the book after hearing a joke about a three-legged donkey. After hearing it, he went home, picked up his rhyming dictionary and started writing the song and its lyrics, he said. "I've been writing stuff for a while, and then I heard the joke: What do you call a donkey with three legs? A Wonky Donkey. And that was the joke,” he said. Smith, who's written 25 books and published eight, said that he writes all of his stories in song. "The Wonky Donkey," which was written in a country music style, is the best seller. “What do you call a donkey with three legs and one eye who likes to listen to country music? A honky tonky Winky Wonky Donkey, you know?” he said. Upon hearing about Smith's success, Fiona was ecstatic. "We are overjoyed for the increase in sales, for both Craig Smith and Katz Cowley, illustrator," she said. However, Smith credits Janice for the sales. "Because of the Scottish granny, [the sales] have changed," he said. "The way she reads it and her infectious laughter is what really gets us going, you know?"